Superdry men’s Urban Sweatshirt from the Orange Label range. A versatile sweatshirt that features two front pockets with zips, ribbed cuffs, hem and neckline. 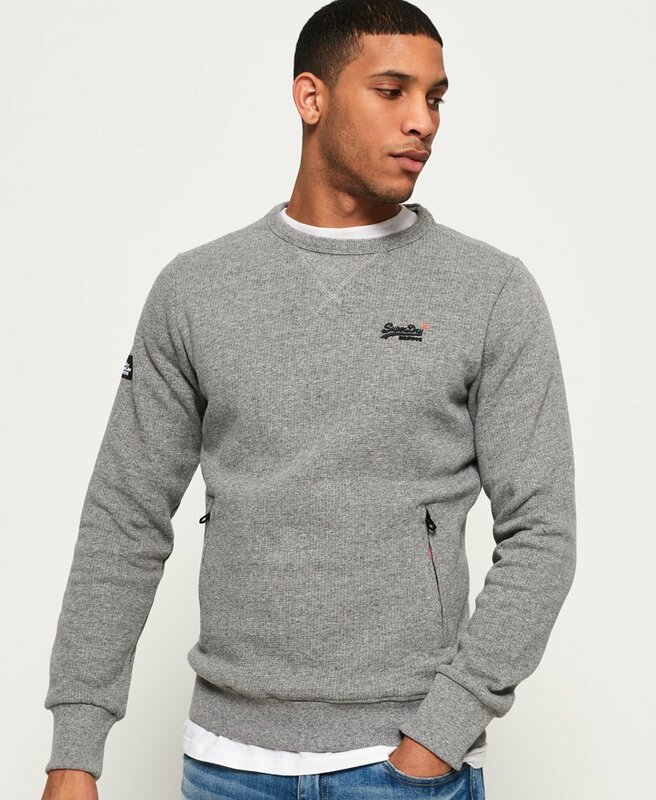 The Urban sweatshirt is finished with a rubber Superdry logo on the chest and a Superdry Orange Label logo badge on the sleeve. Put this with a pair of our spray on skinny jeans and trainers for an everyday look.